"Following a request to GPSoftware, Dr. Greg Perry was kind enough to make available DirectoryOpus 5.8 Magellan, the famous Amiga file manager. The company now offers his excellent software on Windows." The MP3 format really only took off in the late 1990s, long after the Amiga's days a mainstream platform. That said, there is certainly enough software to take advantage of the format on AmigaOS, the only problem is the raw computing power in some of the lower end machines. The MAS Player Evolution is the latest incarnation of an MP3 decoding device which allows the Amiga to pass over the hard work of handling MP3 audio while the rest of the system carries on as normal. Using some simple Public Domain software from Aminet it is possible to play MP3 audio seamlessly in the background while using your Amiga as normal. The MAS Player Evolution attaches to the Amiga's parallel port and joystick port, using the parallel for data transfer and the joystick port for the +5v it needs for power. Luckily, it also has a pass through connector so you can still attach a joystick to port 1. 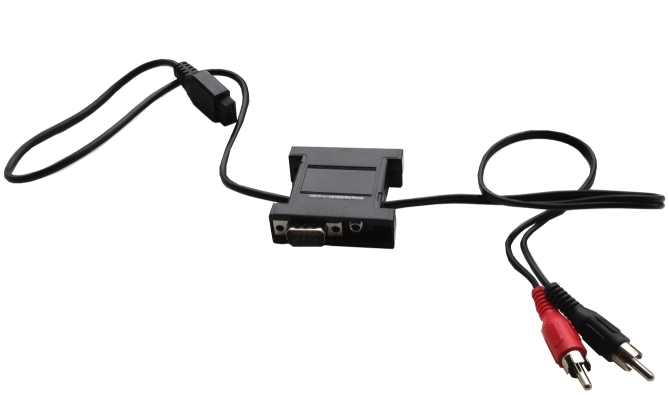 You connect the dual RCA connectors into the Amiga's audio ports, it is then mixed with the MAS Player's audio and sent out via a line-out mini jack on the back, direct to your amp/speakers. This is a very tidy solution and once it's set-up it can just be left this way. The quality of the audio the device can player is limited by the data transfer of the Amiga's parallel port and the CPU of the system, but I've found 128kbps to be the sweet spot, without having any noticeable degradation on a 68030 accelerated A1200's performance.